Over the weekend, we went to a beautiful garden wedding. 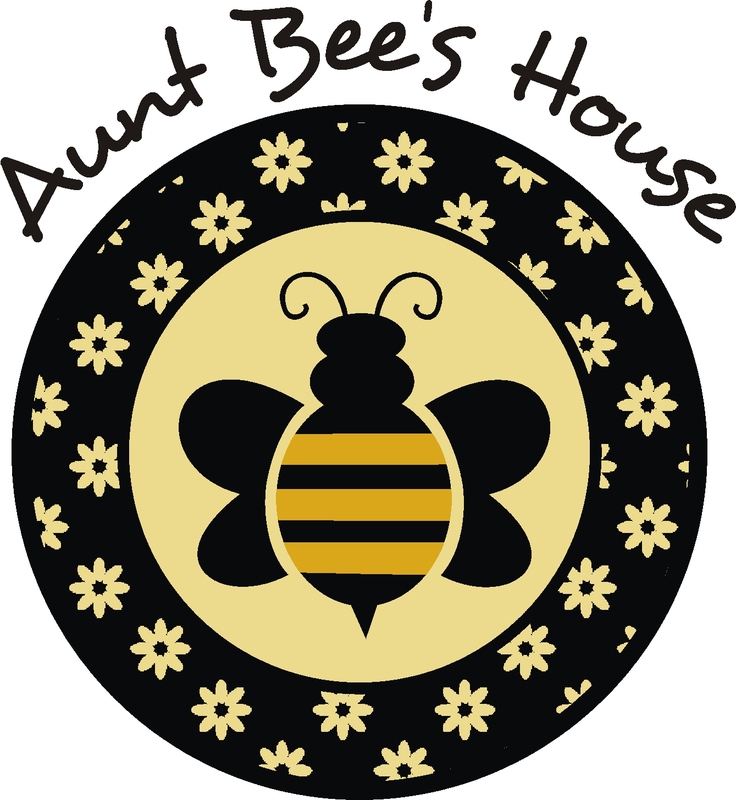 Normally, I get the gift registry and purchase something from it for the bride and groom. But with our schedule this weekend, it was easier for me to make a gift with some supplies I already had. I started with a 9 x12 gallery wrapped canvas. 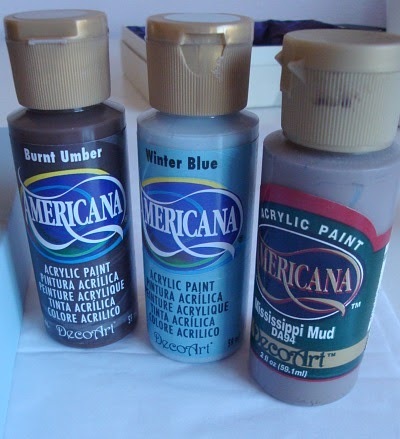 Their colors (I did look at the registry online to get an idea of what colors they were using) were a steely blue, chocolate brown, and gray. 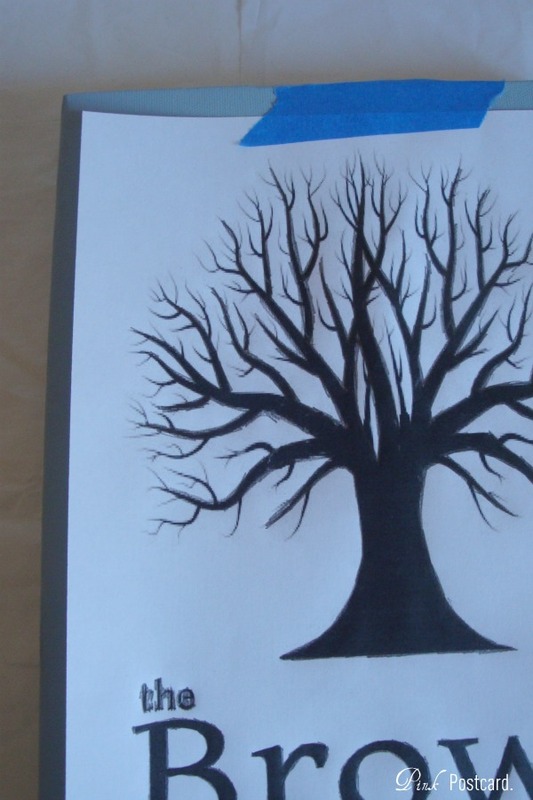 Using a clip art program, I found a silhouette of a tree I liked, (you can search by Google or the Graphics Fairy) and then added the couple's name to the bottom. I flipped the printed design over, tracing the image with a pencil on the wrong side. Once the edges were traced, I flipped it back over and taped it to the canvas with painter's tape. The image was once again traced around the edges, transferring the image to the canvas. The tree and lettering were all done in the Burnt Umber. 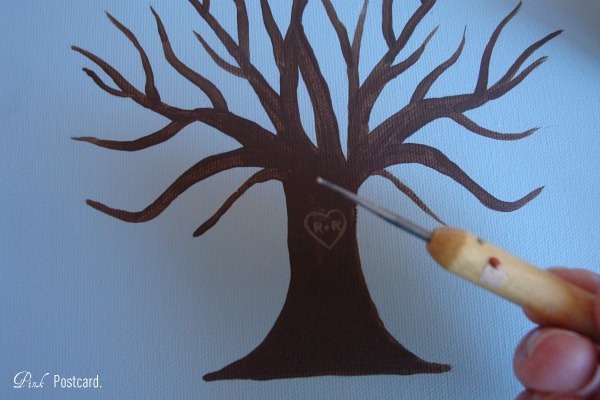 It still needed something, and I considered painting a little heart in the branches in the tree- instead, I decided to make it look like their initials were carved in the tree trunk. Using the Mississippi Mud and the tip of an embosser, I lightly dipped it in the paint and 'wrote' their initials in the trunk with a heart around it. I was pretty excited when we got to the wedding and got the programs- on the front was R + R.
You can sign your creation like I did, with your name and their wedding date. 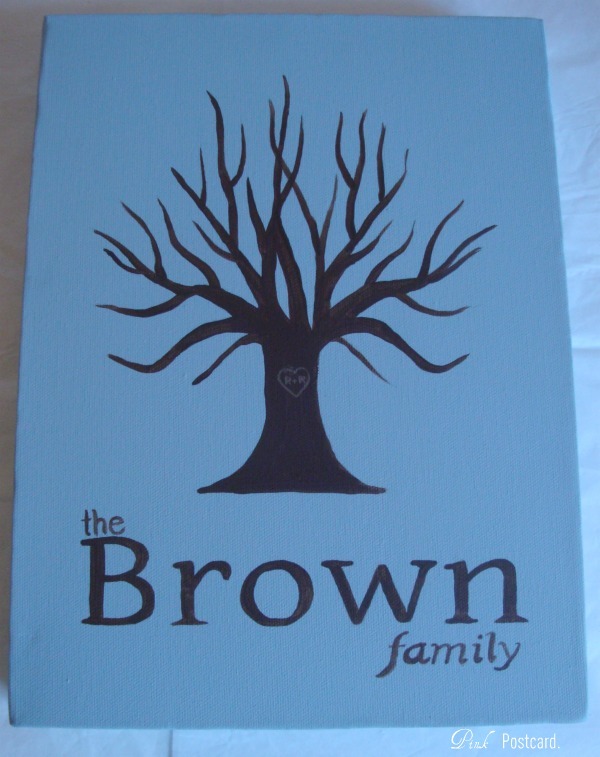 A personalized family tree keepsake for the newlyweds! It's gorgeous Denise! What a wonderful present made personally by you! What a great idea!!! The initials on the tree, THAT is too cute!! What a nice idea! I'm like you...usually picking something up off of the registry but I would much rather create something personalized! This is great! Wow - fabulous! WHat a nice personalized keepsake!